The Secret Club For Naturals! Did you know that something as simple as getting your hair braided could help promote AIDS awareness? Yes, it’s that easy. Earlier this month I had a short but informative chat with Stachen Frederick – the founder of BrAIDS for AIDS, and she was more than eager to speak with me about her charitable foundation. In 2008 Stachen created BrAIDS for AIDS – an organization to educate, enlighten and provide the African, Caribbean and Black community with information on HIV/AIDS, in an engaging, relatable way. HIV/AIDS is affecting the African and Caribbean community at a high rate, and Stachen wanted a way to address the epidemic. One of the ways she believed that she could get the message across to people was through the art of braiding. She is well aware that while sitting in a stylist chair getting your hair done, conversations naturally come up. So she felt getting your hair done + having “real” conversations was a clever and resourceful way to spread healthy, helpful information. Her organization has also supported others organizations – Black Coalition for AIDS Prevention (Black Cap) organization in Toronto to support their LGBTQ immigrant youth program; YMCA of Trinidad and Tobago to support a youth forum and, Somerset West Community Centre in Ottawa to provide resources specifically for the African Caribbean and Black Barbershops to promote HIV/AIDS prevention among men. This year marks the 10th anniversary for BrAIDS FOR AIDS, and I felt spotlighting it was a great way to celebrate its success. To find out more Stachen’s humanitarian foundation, please keep reading. What is BrAIDS for AIDS? 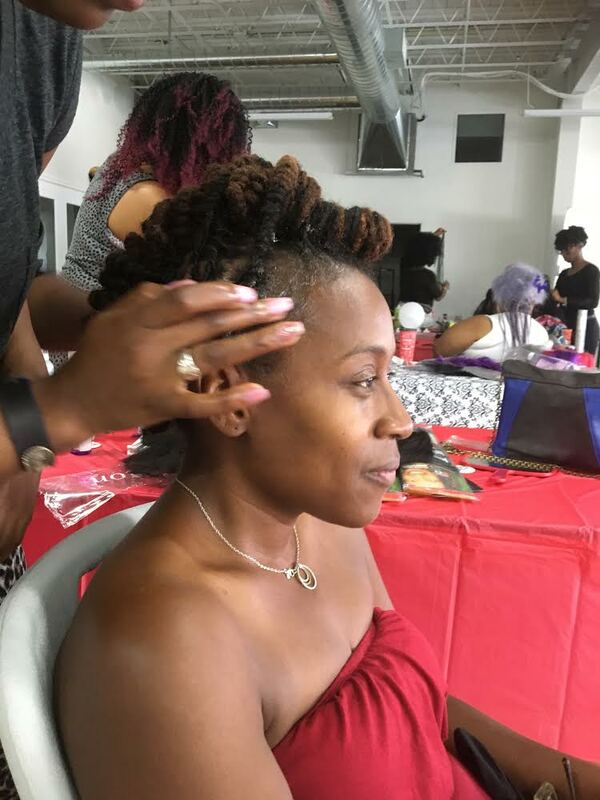 BrAIDS For AIDS is an organization created to raise awareness around HIV/AIDS within the African, Caribbean and Black communities utilizing the culturally appropriate practice of braiding. It’s people coming together to talk about issues that aren’t really talked about, in an engaging way. Do you have different chapters in different cities? No, but people reach out to us and say that they would like to do a BrAIDS For AIDS event. We reached places like Australia, Anguilla and Uganda. 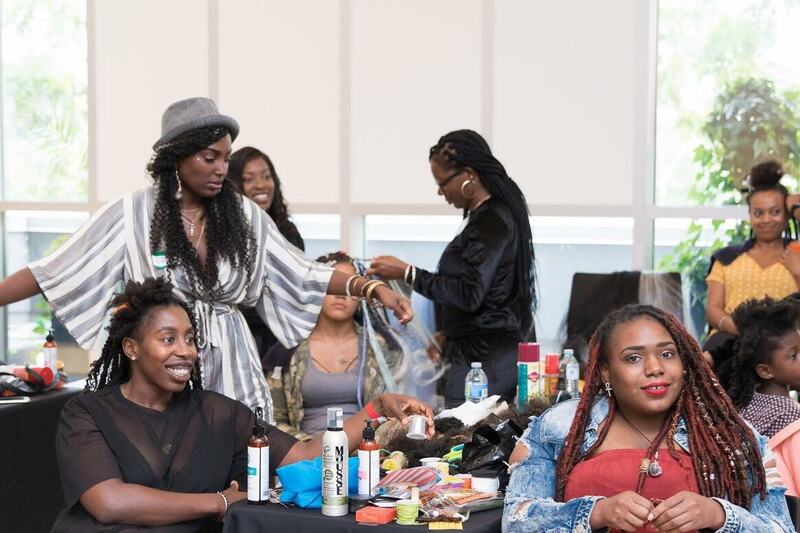 Every year, BrAIDS for AIDS hosts a “braidathon” which is a full day of conversation, beauty and hairstyling. The proceeds from the braidathon go to support the BrAIDS for AIDS foundation and programs. This year it was held on July 28, 2018. It was really, really good! Lots of good conversation. We had 18 braiders braiding hair at one time. We started doing the braidathon in 2014 and it was literally like one table with 5 hairdressers. I’ve seen it grow to 18 hairdressers at one time and each hairdresser would have 2-3 appointments for the day. We had one room for hairdressers, and another room that was all vendors. What was the focus of the BrAIDathon? The topic we chose to talk about was the #metoo movement because a lot of times conversations can come up about sexual violence. It impacts black women differently – how black women are heard within those conversations. A Black woman going to a police officer to say I’m abused looks different from a white woman to say I’m abused. Because of distrust with police officers, many black and minority women do not want to inform police of the abuse that they are experiencing. Many are afraid of how the police would treat their male counterparts given the recent interactions with black males and police officers. However, when they do report cases some have expressed that they did not feel that their claims were properly dealt with. We also spoke about how violence against women impacts sexual health. What can someone do to support the cause? So many ways! For hairdressers, they can volunteer their time. Anyone in the community could volunteer at our events as well. We’ve had people who’ve donated hair products. I also think just talking to people about BrAIDS For AIDS and what we do can help. We just got funding from The City of Toronto to run a program in 5 hair salons in Northwest Toronto, where we will be having conversations in salons around topics that are happening with women. We will record some of the conversations and put them on our YouTube channel and they will be played in salons. The conversations won’t always be about HIV/AIDS, it will also be about violence against women, prostitution, and it could be around travel and how that impacts sexual disease transmission. The Toronto Library reached out to us so we will be having a program reading books in libraries while women get their hair done. The books will be on female empowerment, and black hair love. A huge thanks goes to Stachen whose aim is to discuss topics around HIV/AIDS in a safe, culturally significant environment. Thanks for the chat Stachen, and thanks for the knowledge! To find out more about BrAIDS for AIDS, please visit the following sites. Next Post Ruby Ibarra: Brown Girls Rap Too!